Summer is coming and now is a great time to juice and make popsicles. Fruit and vegetables are abundant in the spring and summer and a good source od vitamins and nutrients. So be creative and make popsicles. It’s a great idea for a change of pace from just drinking your juice everyday, plus a popsicle seems more like a treat. You will do your juice as usual and pour into popsicle molds and freeze them for a delicious and different treat. If you find that the juice separates when freezing, put the juice thru a blender for a few seconds and that should help. Try different combinations, but don’t be afraid to think outside the box if you are losing weight at an even pace. If you want a sweeter treat use only fruit. Here are some combinations that you might want to try. 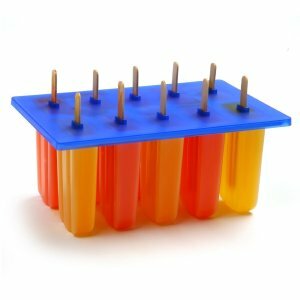 After the popsicles are in the freezer for one hour, insert a popsicle stick in the mold and freeze for 5 to 6 more hours.